Who doesn’t love these intelligent, kind and loyal dogs? 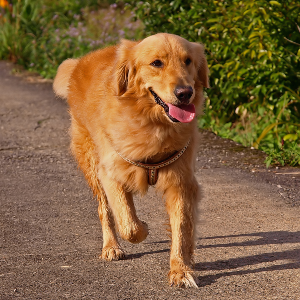 Happy-go-lucky, calm, or easy-going dogs, although some can be energetic or nervous. 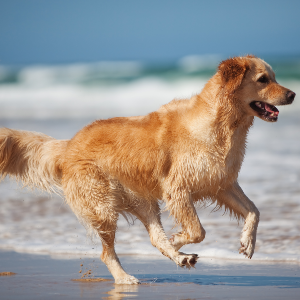 Enjoys sports such as hunting, tracking, agility and retrieving items such as floating toys that use the breed’s swimming ability. 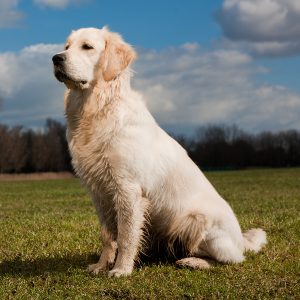 Quite food motivated, which may make it easier to teach the Golden Retriever to drop retrieved items not intended for play. Who doesn’t love these intelligent, kind and loyal dogs? 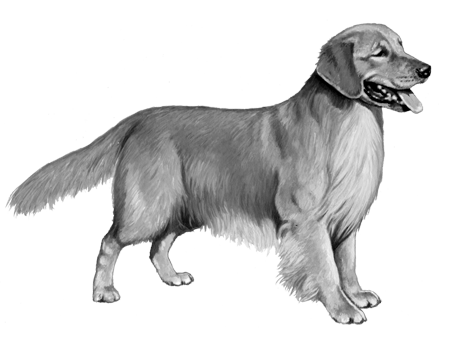 They’re originally from 19th century Scotland, where they were bred as hunting dogs, retrieving game from land and water. Not many people know that one Sir Dudley Majoribanks, Lord of Tweedmouth, spent twenty years secretly developing the breed. 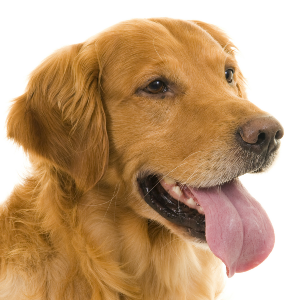 They say he began with a yellow dog from Brighton and a Tweedwater Spaniel (now extinct). Later, he introduced Labrador Retrievers, Newfoundlands, Red Setters and Bloodhounds into the mix. 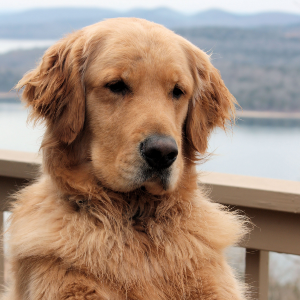 Although first called ‘Golden Flat Coats’, the breed was eventually introduced to America, where they became known as Golden Retrievers. And just about everyone’s favourite dog.